MOTIVATED SELLERS, WILL CARRY - BRING OFFERS! SELLER IS DRILLING A WELL! Not often does a property like this one come on the market! 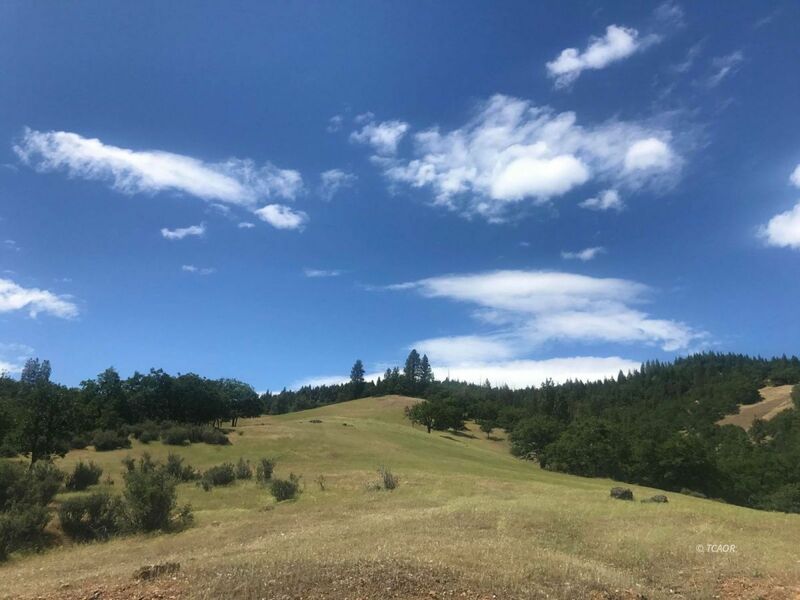 Located at the end of a county-maintained road is over 150 acres of varied terrain with a year-round creek running through it! Enjoy acres of south-facing rolling-hill glades dotted with oak trees, several areas of native forest, well-built roads throughout for good access to most parts of the property, including a building site on the hill with captivating views of the Chanchellula Wilderness! Established along the creek-side setting is the beginnings of a homestead, w/ a well-built bathhouse with large deck, generator shed, outdoor kitchen, chicken coop, & fenced garden areas. The homestead area of the property is level, usable, & enjoys sunny, open meadows, & cool creek access. The entire property is south-facing offering excellent solar potential for self-sufficient living. Improvements that should have been permitted have engineering plans to submit for permitting available for new owner. Water-Diversion permit in place for use of water from the creek, and there are water storage tanks throughout the property. Several established gardening areas.